THE GOOD GIRL is a quietly compelling psychological thriller, which will inevitably earn comparisons to Gillian Flynn’s GONE GIRL, and deservedly so, not just for its themes and ideas, but for its craft. Flynn’s best seller, her third novel, was like a well-oiled machine, perfectly executed, benefitted by her earlier work. 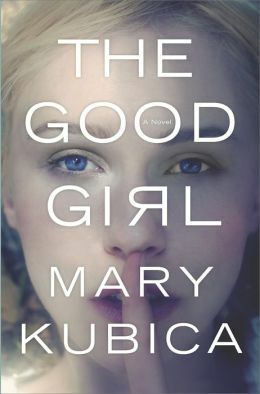 THE GOOD GIRL is Mary Kubica’s debut, but you wouldn’t know it; the prose is deft and eloquent, and the narrative weaves expertly. Kubica’s novel is a smart, emotional thriller, and certainly, fans of GONE GIRL should check it out – but those left cold by Flynn’s hit shouldn’t dismiss THE GOOD GIRL as a clone. It’s much more than that. Mia Dennett is the daughter of a prominent Chicago judge, who purposefully removed herself from his shadow by living as an inner-city art teacher. One night, Mia’s boyfriend doesn’t show for their date, and she begins chatting with a stranger, Colin Thatcher – who, unbeknownst to Mia, has been observing her for weeks now in preparation for his role in a wild exportation plan. Intoxicated and fuelled by heartbreak, she willingly leaves with Colin, who suddenly diverts from the plan, absconding with Mia to a secluded cabin in rural Minnesota. Hunted by the determined detective Gabe Hoffman, and the extortionists who planned Mia’s kidnap, Colin and Mia’s elongated confinement and isolation blurs their relationship from abductor and hostage into something else – and their disappearance brings to light shattering revelations for Mia’s family. THE GOOD GIRL is thick with tension. It’s not a pulse-pounding, edge-of-your-seat thriller, rather eerily absorbing and methodically placed. The novel uses alternating first-person perspectives which shift in time, from before Mia’s kidnap to after her ordeal. Although the novel is centred on Mia, we’re only offered a brief, climactic glimpse into her head. It’s an interesting approach, and very effective – as readers, we’re attuned to the fact we’re due a major revelation, it’s expected, but without Mia’s perspective to provide it for us, we’re left wondering until the very end. And although I deduced the major twist in the tale, it wasn’t deflating; THE GOOD GIRL makes its mark without the major shock value.